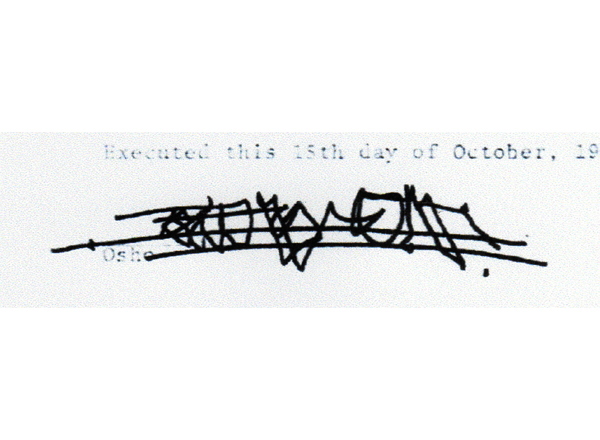 Latest microscopic forensic analysis reveals the undoubted evidence that Osho’s signature on the so-called Osho’s “Last Will” was a forgery. Below is a brief summary of the recent events. 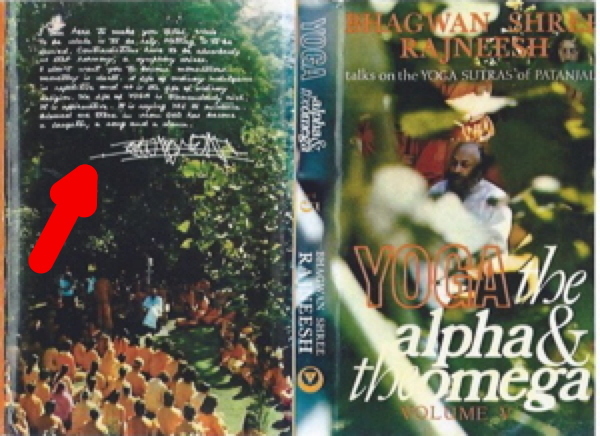 In september 2014, Videh and Chidananda, who last year discovered the forged signature of Osho’s so-called Last Will, found out that Osho’s letter from 1976 with his signature which appears in the Will, was printed on the back of the dust jacket of Osho’s book, published in 1976 called “Yoga: The Alpha & the Omega, Vol. 5”. 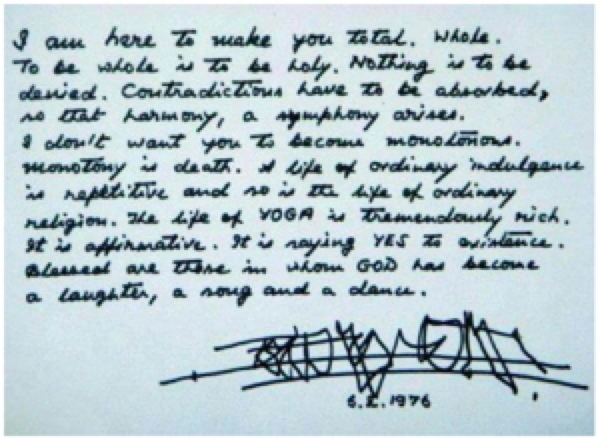 The graphological technical expert and consultant of the civil and penal Law Court of Bologna, Italy, Nicole Ciccolo, who did the first Graphological Report on Osho’s Will last year, compared the signature on the book jacket with the signature on the so-called Will. She concluded that the signatures are identical, just as her earlier report had shown that the signature from the letter on the book jacket that appeared on the Internet was also identical to the signature on the alleged Will. Nicole Ciccolo contacted Francesco Bordoni, a forensic expert registered in the Roll of Emperst of the Technical Graphic Sector of the Penal and Civil Court of Milan, who on 28 October 2014 issued a detailed microscopic analysis of the jacket of the book to determine the age of the jacket. 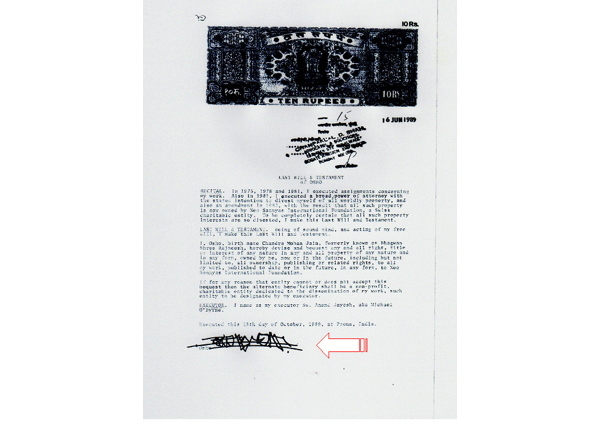 The forensic report states that the cover is dated 1976, as the publishing information in the book indicates. 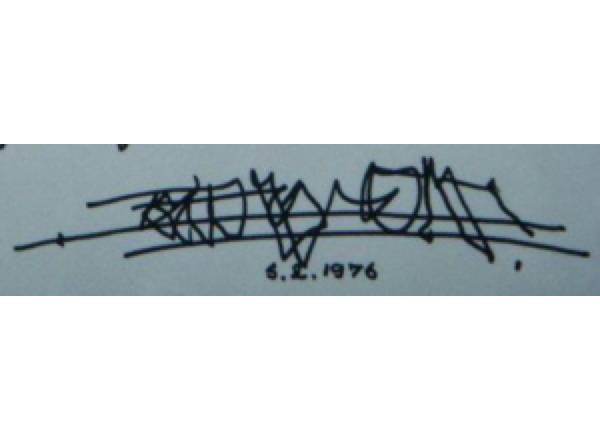 This new evidence clearly proves that the signature existed earlier than 1989, which is the date that appears on the so-called Will. Now there is forensic certainty that the Will was forged. Full text of the graphological report can be found here: Part I, Part II, Part III, Part IV. Part III and IV are English translations of part I and II, which are in Italian.